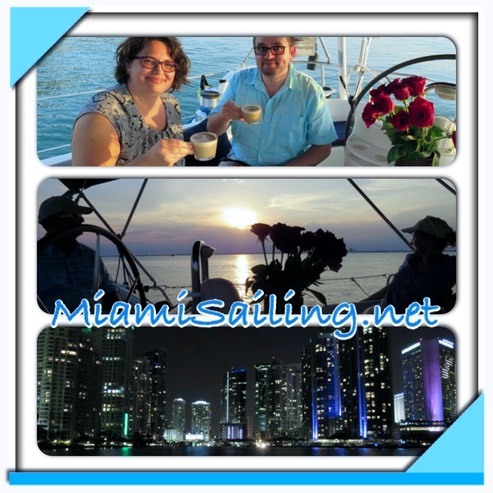 We�do not operate group sails �- nor public buffet style dinner cruises. 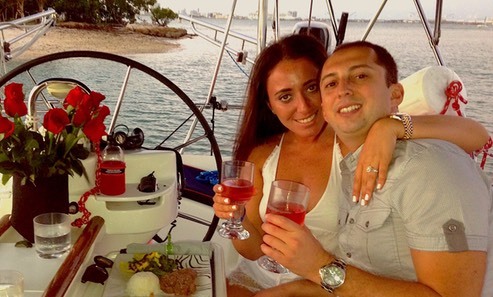 However if if�you are�looking for public cruise - check RiverBoat�Public cruise in Fort Lauderdale -�offering cheap buffet style 1 h trip in river canals of Fort Lauderdale�or Miami Bayside�for public boat tours. 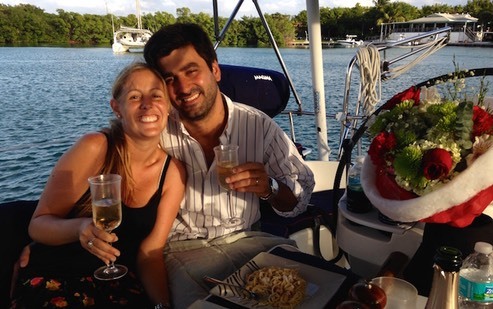 Our private cruise is exclusively for one group -�mostly 2 people, but we can�cater with full dinner for max 4 (Beneteau 461) and 12 (Leopard 4600) — > with QUALITY menu and HEALTHY ingredients and�FRESHLY prepared dishes aboard. Each vessel with different cheff mate offers different�food choices. PICTURES���PICTURES from dinner sails here. 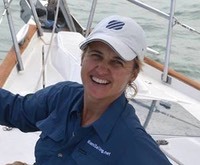 Due to extensive amount of preparations for any quality dinner sail - reservations require ADVANCED�booking to schedule the crew�( captain and mate/cheff)�and purchase QUALITY ingredients for individual trip (it�takes�min 3 hrs to provision for each dinner sail�plus yacht preparation) as your meal is�freshly prepared aboard. Upon crew availability 24 h notice is a minimum �- but pls note that the crew and �cheff is not on standby 24/7 - we are�professional people with�personal lives - that would be very thankful for an advanced notice - so we can plan and prepare BEST to provide you with an ULTIMATE service. > �our meals are freshly prepared �(not pre-made, not microwaved) - made from scratch (not package: exception pasta and ravioli) using QUALITY fresh premium, organic (when available) ingredients.�Local Fish is purchased fresh caught before the charter from premium suppliers. For birthday charters we can also provide B-day cakes and special desserts - let us know ahead ($25+) or bring your own.